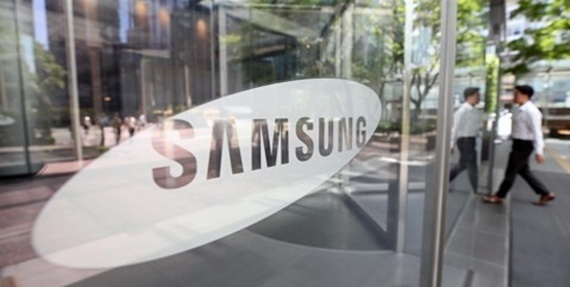 The nation’s largest companies including Samsung have improved transparency in their corporate governance by cutting the links of cross-shareholding structures often blamed for strengthening control of the founders’ descendants over the conglomerates, the antitrust watchdog said Friday. On Friday, the Fair Trade Commission announced 15 companies -- out of the nation’s largest 60 firms -- that have voluntarily made efforts in either improving ownership structure or corporate governance, or easing cross-shareholdings. The 15 companies are Samsung, LG, Hyundai, SK, Lotte, GS, Hanwha, Hyundai Heavy Industries, LS, Daelim, Hyundai Department Store, Hyosung, TK Corp., SM and HDC. The top regulator viewed Samsung, the nation’s largest conglomerate, as having completely resolved issues with its cross-shareholding structure this year by removing the remaining seven links. In April this year, Samsung SDI sold off its stake in Samsung C&T, removing three links. In September, Samsung Electro-mechanics sold its stake in Samsung C&T, addressing the four remaining links. Alongside the group’s efforts to deal with its complex ownership structure, the FTC also positively viewed its moves to improve corporate governance. In March, Samsung Electronics and Samsung C&T formed “a committee to recommend outside directors,” which comprised all outside directors. It is designed to strengthen the independence and rights of the outside directors. The two firms also decided to separate the positions of chairman of the board of directors and CEO, with the aim of holding each other in check and having a balanced structure. In March, President Lee Sang-hoon was appointed as chairman of the board of directors, replacing Kwon Oh-hyun, who was formerly CEO as well as chairman of the board of directors of Samsung Electronics. The FTC also positively viewed efforts made by other top conglomerates. South Korean auto giant Hyundai Motor Group has made efforts for improving corporate governance, even though it is still working on a governance reform plan, the FTC said. In March, Hyundai Glovis appointed one outside director, who was recommended from its shareholders as part of its efforts to increase the protection of shareholders rights. The largest shareholder of Hyundai Glovis is Hyundai Motor Vice Chairman Chung Eui-sun. Hyundai Motor plans to similarly appoint outside directors for Hyundai Motor and Kia Motors in 2019 and Hyundai Mobis in 2020. As for LG, its owner family sold off its entire stake in Pantos Logistics on Dec. 21, in an effort to simplify the group’s corporate structure and to address the allegation of undue intra-trading deals. As of 2017, the portion of Pantos’ intra-trading deals was 69.6 percent. Meanwhile, SK adopted an electronic voting system for SK Corp., SK Innovation and SK Telecom in March, as part of expanding its shareholder-friendly policies. In the same month, SK Corp. and SK hynix adopted an appointed outside director system to monitor and contain management. “We evaluate the conglomerates’ efforts as desirable moves in that they improve the responsibility and transparency of ownership corporate structure,” said Chung Chang-wook, chief of the FTC’s business group policy division. “We will continue to communicate with large companies to encourage them to voluntarily improve their ownership governance and management practices,” he said.